Generally divide on two categories: unidirectional vs. bidirectional editing and single-file vs. multifile databases. All of these solutions initially design a 3D model and then extract views, such as elevations and sections, and other information. In a unidirectional approach, manipulating the extracted views and information will generally not automatically change the model or other views. Unidirectional approaches generally keep information in separate document files that are electronically linked, but where changes will not affect the model. With the advent of technology the complex works of architect and designing are made simple by the advance technology. 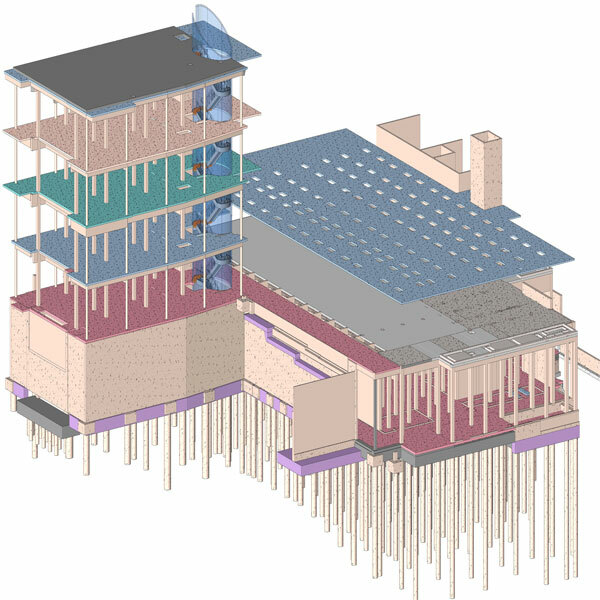 Various software of Building Information Modeling or BIM are coming out with more advance technology to simplify the complex work of AEC industry. This genre of software uses the concept of working with components such as walls, doors and windows to create a virtual 3D building model from which view and information are extracted. The end result is the production of construction documents that resemble those created by 2D CAD or standard drafting methods, but these are created more quickly and contain information such as quantities, materials and areas that can be used in the construction and management of buildings. The major BIM software products are the Bently Architecture, Graphisoft ArchiCAD, VectorWorks Architect and Autodesk's Revit and Architectural Desktop. Based on the quantity of installed seats, true object CAD or parametric modeling capability, routines or programming dedicated to the architecture and construction industry and extraction of views and information directly from a 3D model the list of BIM software has been prepared.